Despite rising globalisation after WWII, corporate R&D spending remained highly concentrated in the same small group of advanced industrial countries that dominated it for decades – until recently. Since the 1990s, the distribution of US multinational R&D investment across countries and industries has shifted dramatically toward non-traditional R&D destinations like China, India, and Israel (Kerr and Kerr 2018). Today's leading US multinationals have developed a global innovation system that increasingly relies on emerging market talent to propel innovation for the global frontier. 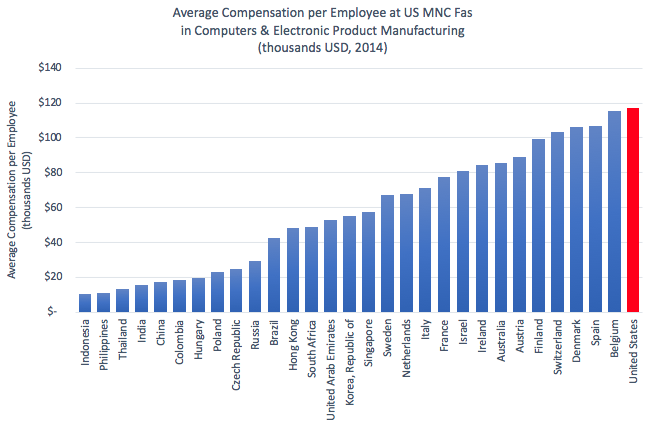 Wage comparisons provide evidence that the foreign talent supply did not meet demand in the software and IT sectors. 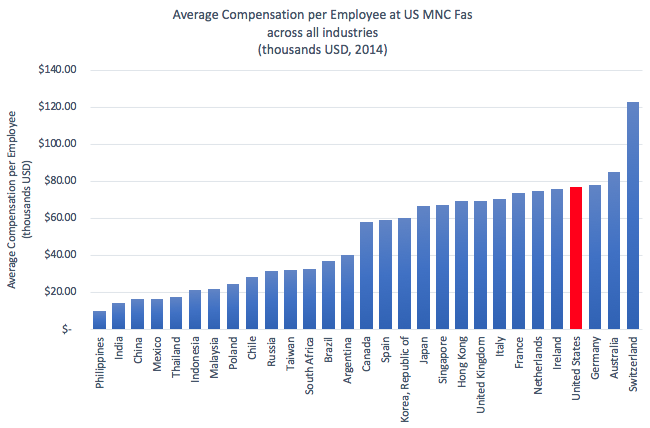 Figure 2 shows average compensation per worker for US multinationals across different countries, using publicly available Bureau of Economic Analysis data [https://www.bea.gov/iTable/index_MNC.cfm]. 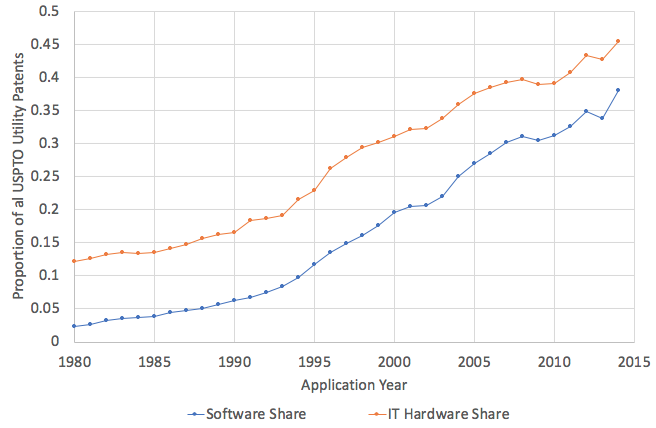 Arora, A, L G Branstetter, and M Drev (2013), "Going Soft: How the Rise of Software-Based Innovation Led to the Decline of Japan's IT Industry and the Resurgence of Silicon Valley", Review of Economics and Statistics 95(3): 757–75. 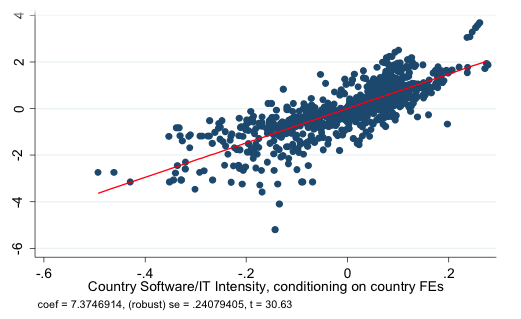 Arora, A and A Gambardella (2005b), "The Globalization of the Software Industry: Perspectives and Opportunities for Developed and Developing Countries", Innovation Policy and the Economy 5: 1–32. Bound, J, B Braga, J M Golden, and G Khanna (2015), "Recruitment of Foreigners in the Market for Computer Scientists in the United States", Journal of Labor Economics 33(S1): S187–223. Branstetter, L, B Glennon, and J B Jensen (2018a), "The IT Revolution and the Globalization of R&D", in Innovation Policy and the Economy, Volume 19, edited by J Lerner and S Stern, University of Chicago Press. Branstetter, L, M Drev, and N Kwon (2018b), "Get With the Program: Software-Driven Innovation in Traditional Manufacturing," Management Science. 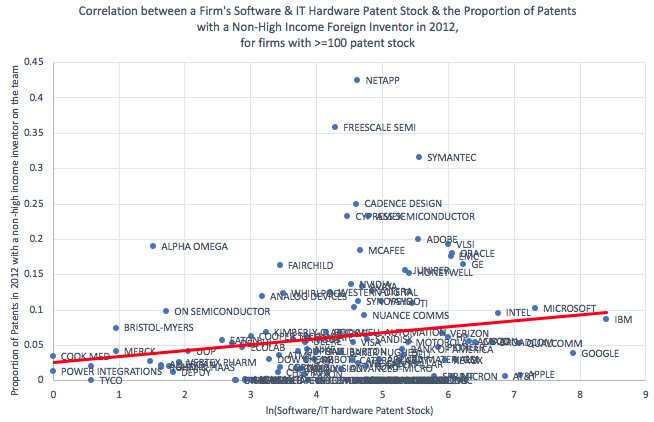 Kerr, S P and W R Kerr (2018), "Global Collaborative Patents", The Economic Journal 128(612). Arora et al. (2013) argue that Japanese firms were constrained in their ability to respond to this shift, as a result of their rigid and closed-off labour market, and that part of Silicon Valley's evident resurgence vis-à-vis their Japanese competitors was based on American firms' greater access to immigrant talent.